Well, the America's Cup Challenge has wound up again. Alinghi captured the Cup in what turned out to be an embarrassing debacle for Team New Zealand. The final match score was 5-0, and it wasn't that close. TNZ imploded. Now it's time to look forward. The new defenders are looking for a place to hold the next Louis Vuitton Cup, in 2007, since Switzerland, their home nation, is landlocked. Larry Ellison's Oracle BMW Racing is the new Challenger of Record. Together with Alinghi, they have revised the format and protocol for defenders and challengers. The new protocol may be found on the Alinghi web site. Team New Zealand, after a period of self-flagellation, will announce whether it's going to participate in 2007. 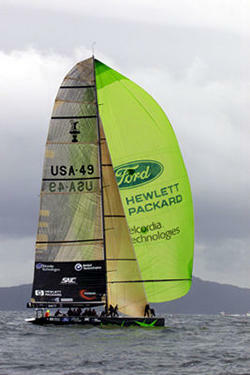 A short history of the America's Cup can be found here. The official America's Cup web site history is worth a read, too.